Staying at Komandoo offers fantastic snorkelling right on your doorstep – turtles, an incredible house reef and possibly manta rays, are all waiting to be discovered just off the resort. Komandoo’s dive centre, Prodivers, recently voted the Maldives’ best dive centre, offers snorkelling instruction for beginners as well as snorkelling excursions for guests to discover reefs around the atoll. There are many amazing snorkel sites nearby and all are inhabited by the countless colourful reef fish of the Maldives. Take a boat trip, stopping off at a couple of great sites, or simply take the snorkel equipment into the water a few steps away from your villa – the Indian Ocean surrounding Komandoo is full of treasures waiting to be explored. At certain times of the year, as nutrient-rich water sweeps into the atoll and the magnificent manta rays grace the reefs with their presence - feeding, visiting cleaning stations or simply just gliding by, any kind of encounter with a manta is magical. The Lhaviyani Atoll is home to one of the Maldives largest populations of turtles. 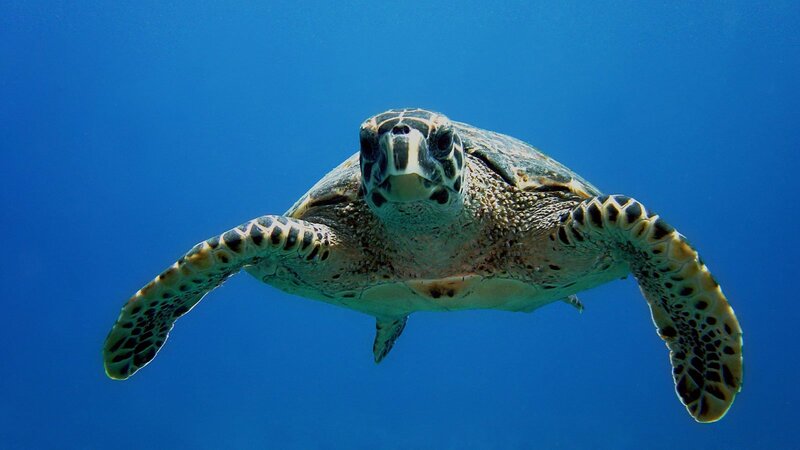 Dozens of hawksbill and green sea turtles have been recorded on Komandoo’s House Reef, and nearby dive and snorkel site, Kuredu Caves, is home to over 60 green sea turtles. The house reef surrounding the island is incredible, a kaleidoscope of colour with shoals of tropical reef fish darting between coral blocks, turtles, rays and moray eels are just a few examples of the marine life that can be spotted by snorkellers. 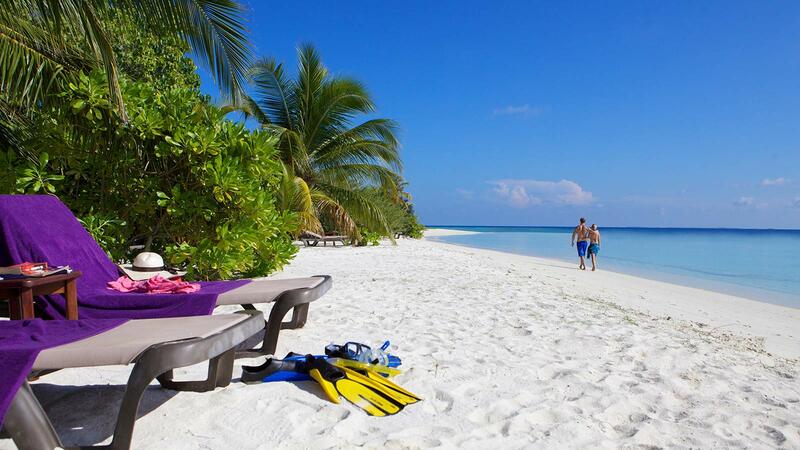 Snorkelling is definitely an experience not to be missed whilst holidaying in the Maldives. The stunningly beautiful islands are impossible to miss, but the treasure trove of delights below the surface of the Indian Ocean can only be truly appreciated once viewed through a mask whilst in the water. Join the experienced guides at Prodivers for a lesson in snorkelling before setting off to explore with your partner or friends. Snorkel boat trips open up more of the atoll for snorkellers keen to explore a little further afield. 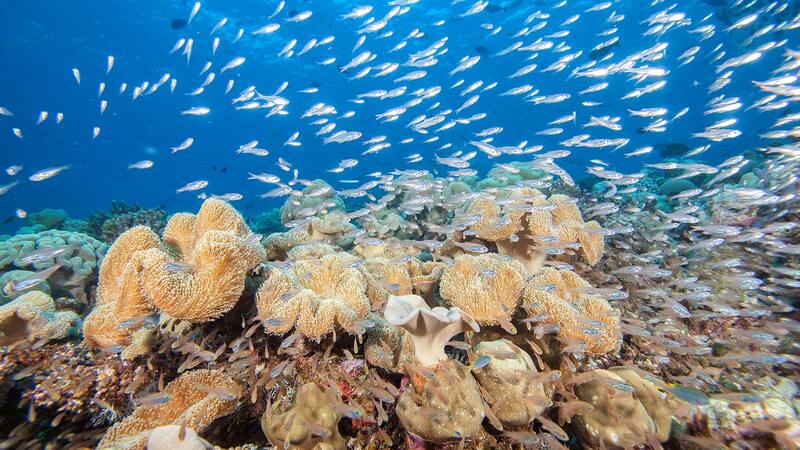 Half-day trips take guests to two snorkel sites - nearby underwater islands that boast a large variety of reef fish. There's a whole lot of ocean to explore even without joining a boat trip - take your mask, snorkel, fins, and a snorkel buddy for safety and then set off to explore the reef around Komandoo. Snorkel trips can be arranged after arrival at Komandoo. If you wish to pre-purchase or buy a snorkelling experience for a friend or loved one, then this can be arranged through Komandoo’s online gift store. I have never snorkelled before, can anyone teach me? The equipment is easy to use once you’ve been shown how; the Prodivers team will be happy to assist you. Fins (also sometimes referred to as flippers) are an absolute must. Fins help to power the snorkeller through the water with minimal effort. The currents in the Maldives can be strong and unpredictable and without fins it would be very difficult to swim. 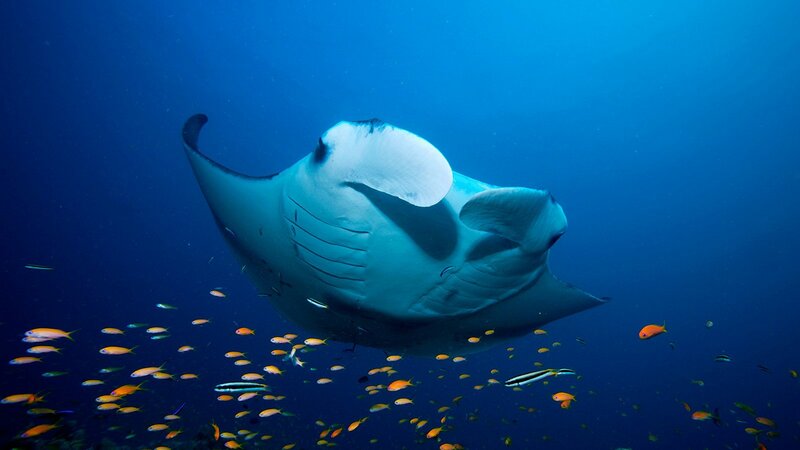 Komandoo Resort is close to the marine reserve, Fushivaru, which is known for its seasonal aggregations of manta rays. The main manta season at Komandoo is from November through to March, although sightings outside of this period can also occur. Whilst it isn’t necessary to be a really strong swimmer you should be confident in the water and able to swim. Always wear fins when snorkelling and a snorkel vest if desired, but this does not take the place of being able to swim. Is snorkel equipment available on the island? Snorkelling equipment can be rented at the Prodivers dive centre. Can I go snorkelling alone? For safety reasons, guests should never snorkel alone.